We have a branch located in Fort William so you can easily pick up your rental vehicle and get out on the road as soon as possible. We can be found on North Road/A82, an arterial road that leads conveniently into the main town of Fort William. When you have found us, a member of the friendly and knowledgeable team will be available to talk you through all the details of your car hire from Fort William and answer any queries you may have. Clicking on the second tab of the branch menu will open up a helpful map that shows you exactly where our Fort William branch can be located. The individual branch page will give an exact address for the branch, as well as information regarding opening times. Out of hours pick up and return is also offered from here so you have complete flexibility with your car hire from Fort William. Find the most affordable price for you by doing a quick car hire price comparison. If you have yet to hire a car, then you can so do online, by speaking to one of our team directly on our reservation number or using our convenient app. We aim to provide our customers with as much choice as possible, though we are unable to guarantee specific models. However long you need your vehicle for and whatever your specifications, we will seek to meet all your requirements. Sixt pride ourselves on offering an extensive fleet of vehicles for our customers to choose from. We offer a wide range of rental cars and estates from a variety of manufacturers so you can select the brand that best suits your preferences. If you are planning to really explore the Scottish Highlands, then one of our 4x4s may be the vehicle for you as they will offer increased durability as well as being roomier. If you are planning to transport any goods or equipment during your time in Scotland, then we can accommodate you with our selection of vans and trucks in varying sizes. Next, take a look at our optional extras to find out how you can enhance your rental experience. A Sat Nav is a popular choice with many of our customers as it allows you to easily find your way around, particularly on the less well marked country roads. We have a number of child seats to choose from if you are travelling with small children. Finally, give yourself peace of mind by selecting an insurance package that suits you, whether you require cover for under 25s, LDW waivers or need to add an additional driver. The Fort William branch of Sixt can be located just 1.2 miles away from the city centre itself so it should be very straightforward to find. Though there are no major airports nearby, Glasgow Airport can be found 98 miles away, while Inverness Airport is 78 miles away, and is known as an alternative gateway to the Scottish Highlands. There is ample parking within the city centre itself, so you can explore the town after dropping off your vehicle. The extensive road network in Scotland makes it easy to get from A to B, and road signage is usually good and clear. As always, be careful on fast rural roads which is where a high number of accidents take place. 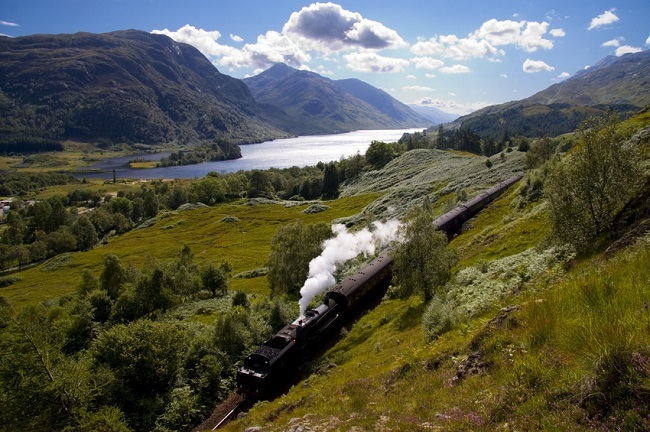 Your car rental from Fort William will be invaluable when exploring the surrounding Scottish highlands, as public transport is infrequent in most areas. 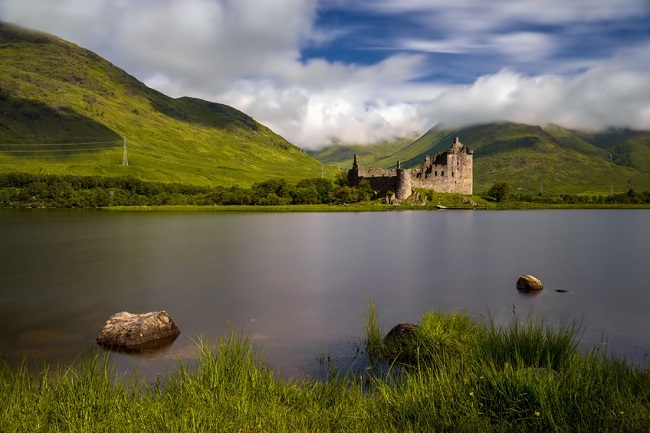 Whether you are planning a trip up Ben Nevis, or would prefer to see the world famous Loch Ness, your rental car will get you there. At all of the main tourist spots, parking is good as it is expected that the majority of people who travel here will be travelling using their own transportation. A trip to Fort William allows you to experience the Great Outdoors at its very best, even if you are just here for the weekend. Many people visit here to tackle the mighty Ben Nevis, the highest mountain in Great Britain. For experienced hikers, the peak can be ascended and descended in a strenuous day and you will have an incredible feeling of looking down on the rest of the country. For those who would like to experience the views without the uphill battle, the Nevis Range cable car will take you up the nearby peak of Aonach Mor, where there are plenty of less tricky mountain trails, as well as plenty of opportunities for mountain biking if this is what you would prefer. Alternatively, just sit up here with a coffee and enjoy the views! Within the town itself, why not sample some of the local food and drink - haggis and whiskey are good places to start. There are plenty of restaurants that serve the regional specialty, while the whisky distillery is a great place to try a dram of the good stuff. If the weather is not looking so great then a trip to the West Highland Museum is both interesting and informative, and will give you a good overview of the region's rich history. Also popular is the nearby lighthouse, which is another good spot to enjoy the peace and serenity that this part of the world is famous for. For countless visitors, no journey to the west of Scotland would be complete without a trip to the world famous Loch Ness. Here, thousands of visitors flock each year with the hope of catching a glimpse of the legendary monster that resides within its murky waters. Even if you don't manage to spot Nessie, your rental vehicle gives you unbeatable access to the loch and the pretty towns and villages that are alongside it. A drive along here is an experience that you won't forget. 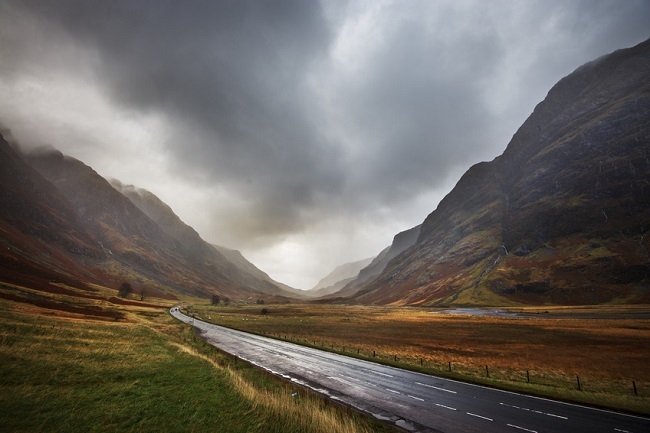 One of the most celebrated and scenic areas in the entire region is Glencoe, which is a short drive away from the centre of Fort William. After you have arrived, walking is the best way to experience the magnificence of nature in all its glory. Two of the most popular hikes in the area include a trip along the Lost Valley, which can be completed in just two hours, while an ascent of the mountain of Buchaille Etive Mor offers stunning views of the surrounding area. Though it is less well known than the other famous loch, Loch Laggan is certainly worth a visit while you are in the area. Its relatively small size and accessibility from Fort William means that you can travel alongside using your vehicle and enjoy stunning new views around each and every corner you drive around. If you are travelling to this part of Scotland on business, one of your likely destinations will be the Lochaber Chamber of Commerce which seeks to promote the region as a centre of business excellence. The chamber can be found on Fort William's High Street, so once you park your vehicle, it will be easy to reach this particular location. Tourism is one of the main industries in the area, so you may well be travelling here because of its popularity with visitors from all over the world.